While I got these yesterday, since I started the list this week, thought I'd just put my entries here.... Besides, don't you want to know what your First Citizen is up to when he checks the algorithms to determine how much to flog his Operations Research Analysts? I had traded this away, then realized it was a Sid Sackson. Finally found a really nice copy for $2.99 at Savers in Woodbridge as I returned from visiting my dad in Falmouth area... BTW, he turned 91 yesterday! Now, I know what you're thinking... The First Citizen has gone mad! Actually I didn't... I needed the Monopoly money for a game I developed to teach the benefits of Frequent Releases (supporting the Manifesto's principles 1 & 3, see http://agilemanifesto.org for details). So I took the Marshmallow Challenge: http://marshmallowchallenge.com/ and modified it so that I break a group into 2 teams of 5-9. One team does the typical BUFD (big upfront design) approach and a second team incrementally releases its tower. I changed the precept too - the marshmallow is transmitter and they have to build it within a 10" square box that is the prepared area on a hillside; they get value for how high it is upon completion. Their value is realized by payments - the BUFD team can get more for the tower, but can ONLY get paid once at the end of their requirements gathering, design, and development phases. The incremental team can realize multiple payments as long as they have a transmitter on the tower at the end. 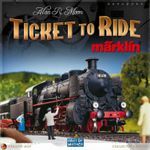 I've played it once with several Agile coaches and taking their feedback I'll be formalizing it for play in a course we're developing for our client. 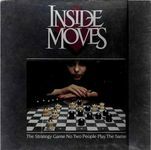 Barely played 1st edition version. I walked into one of the thrifts in my rotation and found that the game shelves had been freshly stocked, although there were a lot of the "usual suspects" like Scene It and Trivial Pursuit. I quickly spotted this one, version pictured, which looks something like chess, so my interest was piqued. A quick inventory found all of the pieces plus the board and rules. There was no price listed, so I was able to "work" on the price a little with the help. While looking at Inside Moves, I spotted this out of the corner of my eye, version pictured. 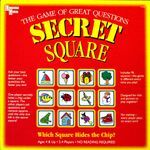 I hadn't thought much of this game until coming to BGG, but many people speak fondly of it, so my interest was piqued and it was on my "must buy" list because the concept seems easy for my kids and non-gamer family members to grasp. One of the corners of the box was beat up, but when I looked inside, the game was never played! All of the cards and markers are still in their original packaging. I "worked" on the price with the help while working on the price of the aforementioned Inside Moves. I found it at DI for 2$ not even punched out yet. So, we were headed down to Kansas City (from Omaha) this past weekend to visit family, so I did what any responsible thrifter would do...scour the Kansas City Craigslist to find bargains. I found a guy with a few games I was interested in. First up, Wings of War. 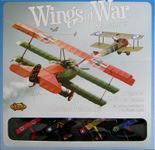 At $15, it's not super-duper thrifty, but in addition to the base set of 4 planes it came with 2 extra planes from the WW1 Series 3 set (both planes have rear gunners), which I think is an excellent value. Also, I'm pretty sure this is the first time that the Deluxe Set has appeared on the thrift list. I've already had my 7 year-old and 9 year-old square off (both games ended with one of them running off the edge of the table) and I faced off against my wife (the damage deck was far kinder to me than it was to her). Originally, I thought about putting this on eBay, but it's definitely a keeper for us. Same Craigslist deal. $10, and it even came with a Plano Box for the pegs, tiles, and smaller ships. Again, not super cheap, but the miniatures are fantastic and it's a lot less than I'd pay to get it through Amazon or eBay. Since my kids enjoy Heroscape, I have a feeling they'll like this. 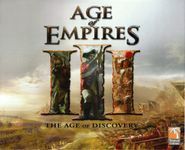 $8 is borderline for listing this here, but since it contains the base game and 3 expansions I figure it's not a bad deal. I needed another game that plays best at 6+ players. Too bad it was missing the sheriff's badge. $2 for this one. It's a Haba and I have little kids, so what can I say? There isn't much of a game here, but it will help them learn some colors, improve dexterity, and deal with bad luck. I love the little frog meeples that come with this one. Those are worth $2 by themselves. 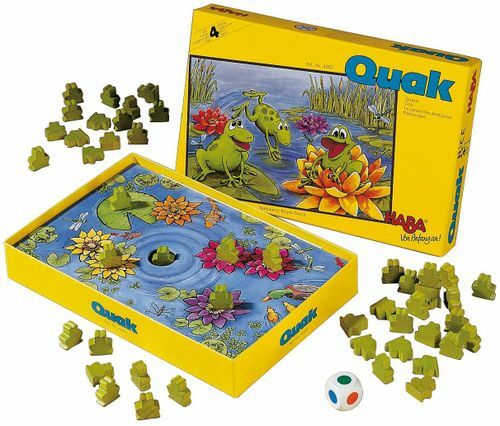 No, I'm not sure why a game about frogs is called Quak. $1.99 for this one at Savers. It doesn't appear that this has ever been thrifted before...in fact, I'm only the 2nd person on BGG that will admit to owning this game! I'm sure our 2 year old will enjoy this. And it's a Haba, so you know that the components are outstanding. $2.99 at "Savers". Version pictured. I went with the quotation marks on "Savers" becuase man, this was overpriced. However, I actually really like to play this if I've got 5 or 10 minutes to kill (admitting that might get me kicked off of BGG) and I didn't own it. I found this old copy of Rack-o in a thrift store that was closing down, so everything was 75% off! I figured it would be appropriate to post here, because the only reason I had ever even heard of Rack-o was from reading a prior Geek List of Thrift Store Bargain finds related to games with the best "Components" that could be used. It was referring to the neat little card-holding racks that are central to the play of Rack-o. Funnily, however, instead of using the Rack's for other games, people tend to break-out Rack-o itself and play it, especially at the end of the night when they aren't ready to go home yet, but know they don't have time to start another multi-hour game. So this $3 bargain has more than gotten a renewed life. I figured I couldn't pass it up just for the parts and now its played regularly. Found at GW today for $2.99. Everything was nicely bagged on the inside. First time finding a revised edition. Complete for $1.99 at GW. Punched and still need to inventory but in great condition for $2.99 at GW. Brand new except for the shrink also $2.99 at GW. NIS for $4.99 at GW. Box top is dished a little but everything inside is sealed for $3.99 at GW. Found this in a thrift for $2. $12 at Half Price Books. No skrink on the box, but everything inside is new. Cards were still in the original plastic wrap.